The Guv’nor is a revival of the Pashley’s oldest designs, the 1930’s Path Racer, but updated to cope with the demands of modern life. 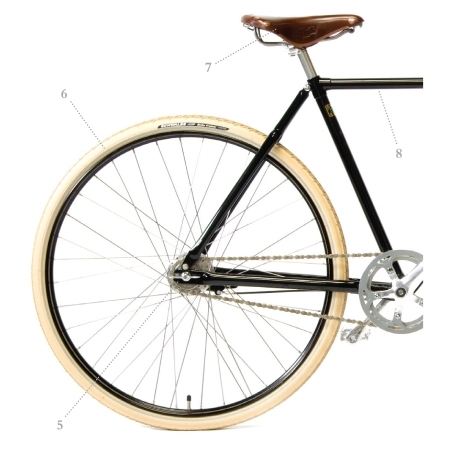 Have you found the Pashley Guvnor Single Speed Black Cheaper? Legendary Reynolds 531 steel is used by our craftsmen to produce a frame with a classic slack geometry, which provides you a dynamic yet natural riding position aided by the inclusion of authentic North Road handlebars. Gears Sturmey Archer XRD single speed or XRD-3 speed hub gear with trigger shifter. What do you think of Pashley Guvnor Single Speed Black?